So you’re in the market for a bike trailer. You do your web searches (welcome! ), do some comparisons, and price shop. But it quickly becomes clear that…nothing is clear. Prices are all over the map from cheap as anything to very-beat-up-used-car territory. What to do? How can you assess what’s going to work for you. From our experience, there are four things that will indicate overall quality of a bike trailer. And better quality usually means a higher price. The four things are fabrics, flooring, metals, and tires. The type and strengths of fabrics will run the gamut from paper thin to bulletproof. 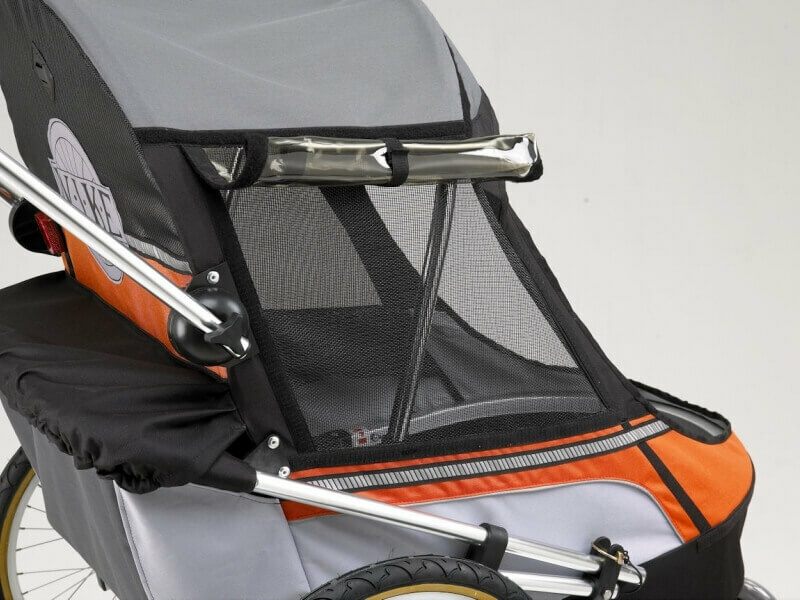 Be aware that your bike trailer will be one of the few things with substantial amounts of fabric that you own that will be in the elements at least part of the time. Not only will they be exposed to sunlight but will also most likely be in the rain and possibly snow as well as getting hit with a bunch of dust and dirt. Toss in the occasional road hazard like gravel and you’ll quickly understand that a good quality fabric can make a significant difference in the price. On the low end you’ll wind up with a fabric that fades more quickly and tears more easily. You may be fine with this but be sure to check the quality of the fabric when you buy. I don’t imagine you’ve given much thought to the flooring of the trailer but it does make a difference. On the low end you’ll have flooring that’s just fabric. As just mentioned, the quality and durability of the fabric will vary. As you move up the price chain floors will become solid and even rubberized. Obviously, these are more durable but note that with the extra durability comes an increase in weight. 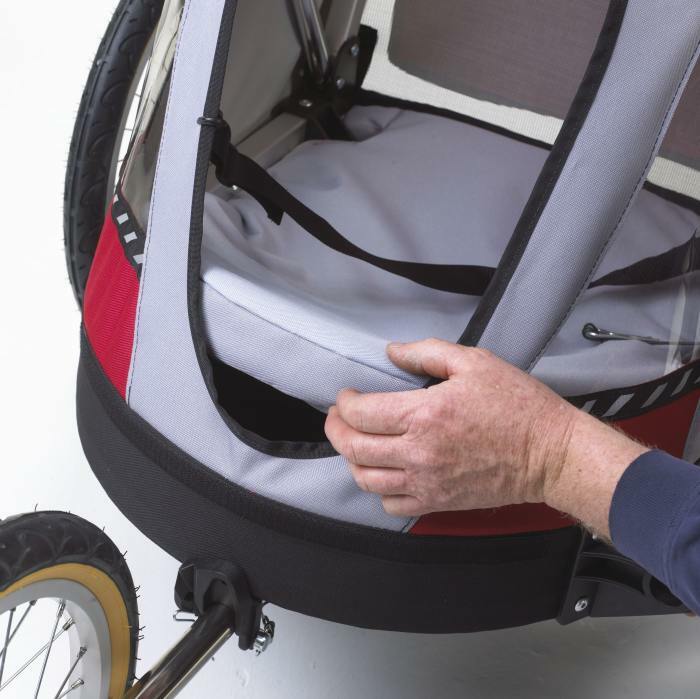 The weight difference is not usually substantial but it is there so take it into consideration when you’re looking into your new bicycle trailer. A metal is a metal, right? Not so fast. Steel and aluminum are the two most common types you’ll see. Steel is more prone to rusting and aluminum is more lightweight than steel. Both of these are common and perfectly fine your trailer but think twice about a trailer that uses a substantial amount of plastic for framing. Plastic lacks the strength of metal and is prone to warping and cracking. Tires will make the difference between a comfortable ride for you and your young ones and one that ensures you never venture out again. Generally, the larger the tire the better and faster the ride. Smaller tires with plastic rims might be serviceable but will be prone to warping and cracking. Of course, it depends on your needs. 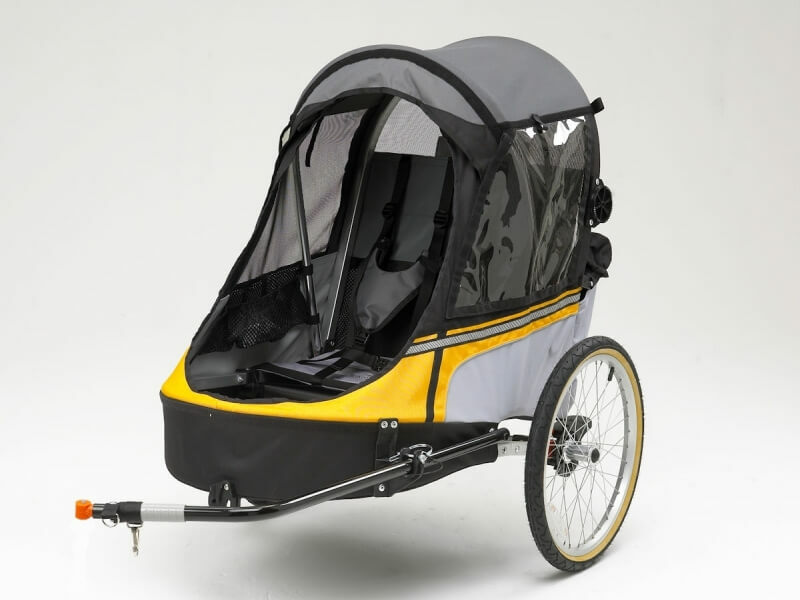 A child bike trailer would really benefit from a metal rim and larger tire while a grocery getter would likely be fine with a smaller tire with a plastic rim. Note that all of the above are subject to your budget and needs. The top-end trailers will use high-quality fabrics, flooring, metals, and tires. But are you willing to pay the premium price? To the inexperienced eye, lower cost trailers provide a substantial deal over their premium brethren. But beware, as with everything, lower cost means quality is being shaved somewhere. By checking these four things you’ll have a better idea of what’s worth your hard-earned money and what isn't.